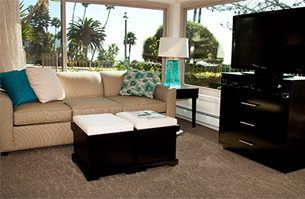 Laguna Shores’ accommodations are unique and eclectic. 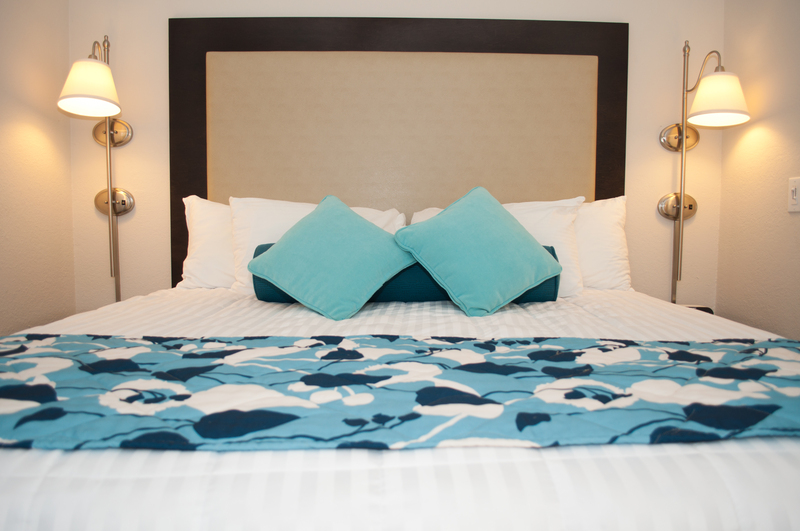 No two studio and one bedroom suites are alike. Suite includes a murphy bed and a full kitchen with convection oven/microwave. All suites have a DVD/VCR and hair dryer. Suite includes a king or queen-size bed, queen-sofa sleeper, and a fully equipped kitchen with a microwave. All suites have one bathroom with a hair dryer and DVD/VCR. Suite includes a king or queen-size bed, queen-size sofa sleeper, and a fully equipped kitchen with a microwave. All suites have one bathroom with a hair dryer and DVD/VCR. Maximum occupancy in each suite includes children regardless of their age.